Introduced in 1986 as the official silver bullion coin of the United States, the Silver American Eagle is a symbol of America’s pride, majesty, and power. Today it is the world’s most popular coin program, but in 1990 it was still a new product grabbing the attention of investors and collectors around the globe. 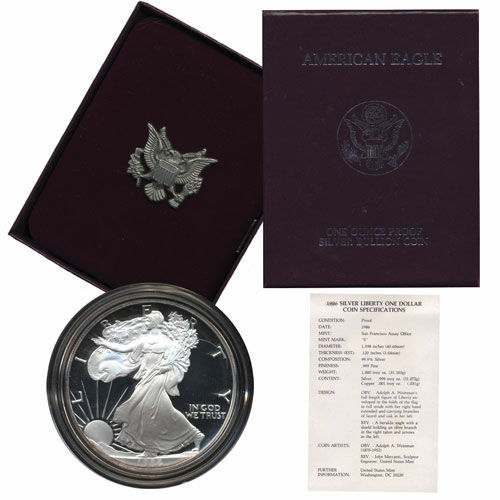 Right now, Silver.com offers the 1990-S Proof Silver American Eagle for sale in a commemorative box with a CoA. Total proof mintage in 1990 was 695,510 coins! 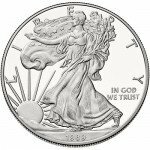 Fifth annual striking of the Silver American Eagle! Arrives in a commemorative box, with a Certificate of Authenticity. “S” mint mark identifies the San Francisco Mint as the production point. The period of 1988 to 1991 in the Silver American Eagle coin program was one of the first upward trends in demand and production of the coin. The first two years were blips on the radar given the excitement and demand for a new coin. For example, the 1986 coin saw a strong debut with 5.3 million bullion versions and 1.4 million proofs. However, the proof coins have never seen a mintage that high since, and the following year bullion production spiked to 11.4 million, a figure that wouldn’t be matched until 2008. With that said, in each year from 1988 to 1991, Silver American Eagle mintage steadily rose. In 1990, the program saw a total mintage of 6.5 million coins, with 5.8 million bullion coins (up 600,000 from 1989) and 695,510 proof specimens (up almost 80,000 from 1989). 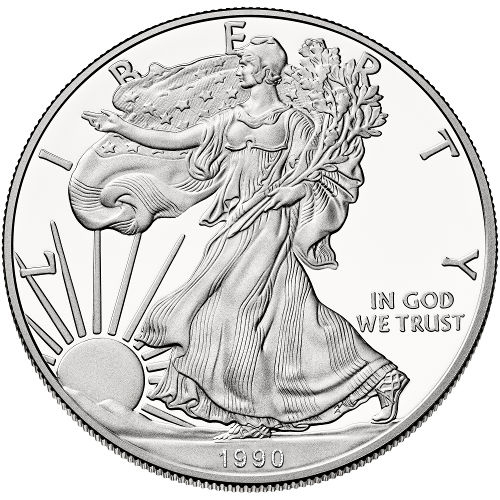 During the three years from 1988 to 1990, Silver American Eagle coin growth came in both the bullion and proof versions. On the obverse face of all Silver American Eagle coins you’ll find Adolph A. Weinman’s Walking Liberty design, which was originally created in 1916 during the Golden Age of American coin design. 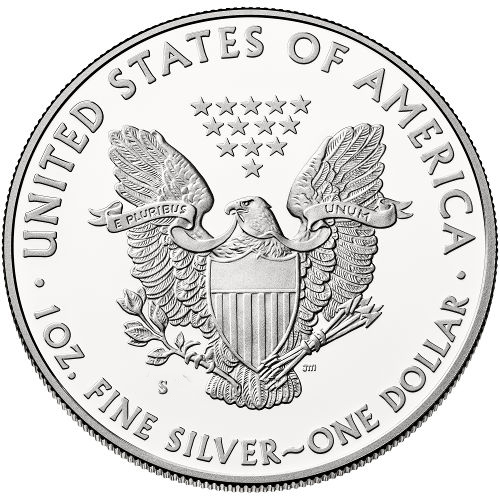 The reverse features the heraldic eagle design from then-Chief Engraver of the United States Mint, John Mercanti. His design is accompanied by engravings of “United States of America,” and the coin’s weight, metal content, purity, and face value. Please contact Silver.com with any questions. You can reach us on the phone at 888-989-7223, online using our live chat, and via email.